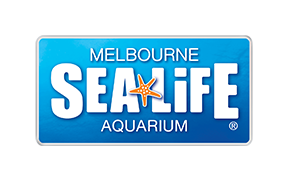 Chill out with ICE AGE: No Time For Nuts 4-D at SEA LIFE Melbourne! This fully immersive, high energy 9-minute show was custom created by Blue Sky Studios and Fox Animation in partnership with SimEx-Iwerks Entertainment. Featuring exclusive brand new footage, Ice Age: No Time For Nuts 4-D is presented in high-definition 3-D projection combined with in-theater special effects to further engage the audience.